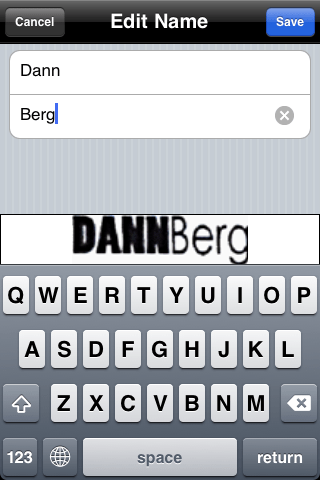 Posted by Dann Berg on August 9, 2011 . One comment. Review of the WorldCard Mobile application available for the iPhone. Snap a picture of a business card and it’s automatically entered as a new contact. I was recently turned on to a great iPhone app called WorldCard Mobile. In short, this app lets you take a picture of a business card with your iPhone and automatically recognizes all the information and adds it as a new contact in your phone. This is really handy if you’re someone who deals with a ton of business cards because it allows you to cut out all the clutter with quick and easy digitization of all your contacts. The app is surprisingly good at gleaning information from business cards. I gave it a try on my business card and found the app extremely intuitive and surprisingly accurate. When you first turn on the app, you’re greeted to the main screen. From here you can access everything you need in the application. If you’re ready to immediately import a new business card as a contact, all you have to do is click the round “Camera” button. This will bring you to the picture taking screen. I absolutely love the image stabilization feature. WorldCard Mobile’s text recognition works just fine with a slightly blurry image, but I always prefer image stabilization whenever possible. Everything just feels cleaner. Plus, it allows you to take iPhone screenshots without the picture getting all blurry as you fumble to press the home and power buttons at the same time. 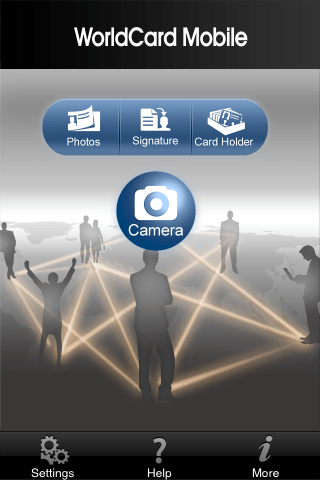 Once you take the picture, the WorldCard Mobile app does the rest. You’re brought to a screen that looks extremely similar to the iPhone’s built-in Add New Contact screen. As you can see, almost all the information is automatically filled in for me. Not only does WorldCard Mobile recognize the text, but it can tell name from business name from email address from website URL. 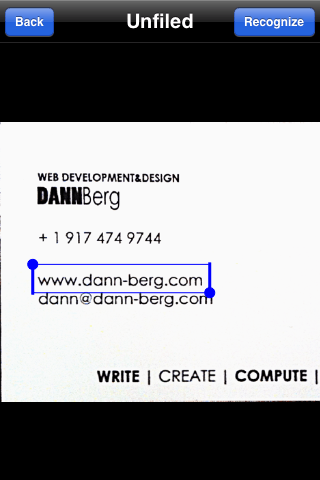 Because of the styling on my business card, WorldCard Mobile recognized my name as one word, rather than two. No fault of theirs. I can easily change this by clicking on that field and quickly editing the text. Now, lets say that WorldCard Mobile got the text recognition wrong. It is super easy to fix. You can simply click the “Browse” button and the app will allow you to select a portion of text. Click “Recognize” and the category in which the text belongs, and you’re good to go. Super easy, and a great way to eliminate all your business card clutter, while at the same time organizing and indexing everything. 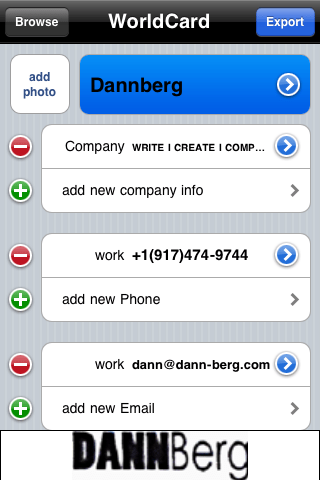 This is extra handy for me, because my iPhone contacts sync with my Google contacts, so adding someone’s information through WorldCard Mobile means I have access to their information as soon as I launch Gmail. 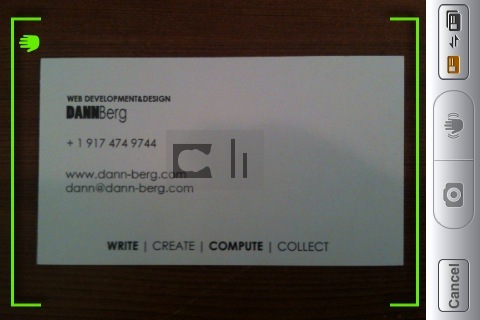 So, by simply taking a picture of a business card, I now have copies on my iPhone, in the Address Book on my computer, and in Gmail. I’ll never have to worry about losing someone’s information again. There are a ton of other features that this app can do, including recognizing information from an email signature and storing images of all business cards (allowing you to browse them in a cover flow environment). You can completely digitize your rolodex. If this sounds like it would be helpful for you, definitely check out the app on the WorldCard Mobile page, or you can buy it directly from the App Store [direct link to app store]. Oh, and I was given a copy of the app in exchange for a review, which worked out perfect because I totally endorse this application. Next post: Stickers of NYC Officially Launched!